Do you run a business that has shift patterns or hourly paid staff that you have to regularly manage their schedules and create rotas for? Then investing in scheduling software might help you to simplify your scheduling, reduce the time spent creating and updating schedules, and improve communication of the schedules with your staff. There are many scheduling providers that offer different levels and prices which cater to different businesses’ needs. We have explored the different scheduling products that are available on the market. The table below gives a quick price comparison of the top UK rota and scheduling providers. 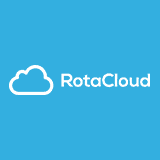 Some of the features and benefits of RotaCloud’s rota and scheduling. RotaCloud is a Yorkshire based business that was established due to issues that the founders were having with rotas. They set up RotaCloud to create a simple, user-friendly method for managing rotas and employees that takes the hassle out of managing scheduling. They also offer time and attendance management software that allows staff to clock in and out. RotaCloud’s scheduling system is suitable for most businesses that need to schedule their staff and manage time more effectively. The system allows businesses to simply and quickly create and adjust rotas and communicate their rotas to their staff. It allows managers to swap shifts, give time off and track annual leave in one place. Some of the features and benefits of Findmyshift’s rota and scheduling. Findmyshift’s staff rotating software has been designed to make scheduling staff simple and it integrates several useful facilities which include managing shift change requests, tracking labour costs and communicating with staff via text and email. The software is hosted online so you can access your rotas from anywhere or any device. Findmyshift has flat rates for its services regardless of the number of employees. It also offers customers discounts if they pay in advance for the service up to the value of 20% for a yearly subscription. You can also manage clocking in and out systems, time management and annual leave through the software and it can also integrate with other software to make it even more useful. Some of the features and benefits of When I Work’s rota and scheduling. When I Work is an online scheduling and attendance management software provider whose software is used across the globe in over 50 countries. Their software allows managers to track employees time, schedule their shifts and communicate with them about their shifts. When I Work offers packages that vary in price and they provide a free product that offers a simple scheduling tool that is suitable for one team or location with up to 75 users with basic communication. They have two monthly charged packages plus a bespoke package which offers the ability to manage multiple teams, assign tasks and monitor task progress. All packages can include attendance at an additional cost. Some of the features and benefits of Planday’s rota and scheduling. Planday offers scheduling software but also provides other related HR software to assist with staff management. Planday offers two levels of service. The starter service allows you to schedule your employees and communicate with them about their rotas. The plus package allows you in addition to optimise your HR with payroll reporting, overtime monitoring, HR management, cost tracking, time and attendance management, statistics and reporting. They also offer a bespoke package for larger businesses that require more than 250 users. Planday charges an initial set up fee to get you up and running which includes access to a dedicated expert. There are also additional charges for SMS. Some of the features and benefits of Rotaville’s rota and scheduling. Rotaville provides employee scheduling software to help businesses to manage their staff time using the latest technologies to schedule their operations. In an effort to make the software more user-friendly than most systems they have created a simple but effective way of utilising a calendar view to show the schedules of shifts and employees. Rotaville’s employee scheduling software allows managers to quickly create and manage shifts, track their employee’s availability, approve holidays, and communicate with employees. Their pricing is based on the number of employees using the system and they offer a bespoke solution to businesses with over 500 employees. Some of the features and benefits of TSheets’ rota and scheduling. TSheets offer a range of integrated staff management solutions which include scheduling and time tracking. TSheets is a service provided by QuickBooks which can offer a wide range of business support tools to help finance functions. TSheets’ scheduling software allows businesses to schedule both jobs and shifts so that all work can be managed in one place. TSheet offers shift scheduling software that allows managers easy access to the software through multiple devices including through their mobile app. The software is easy to use with simple drag and drop functionality where you can create schedules, edit them and assign shifts. You can communicate the shift schedules electronically with your team through mobile alerts, text and email. Some of the features and benefits of Schedule it’s rota and scheduling. Schedule it’s resource scheduling software allows businesses to manage all their resources through one simple tool that can track and allocate employees, resources and training. Managers can schedule their employee’s workload planning, tasks, rota planning, attendance, sickness reporting, training records and schedules. Schedule its software allows managers to focus on the job in hand rather than waste time scheduling and tracking their teams or needing to micro manage them. It’s easy to use software allows managers to build rotas and communicate them with their teams through email and popular online calendars. It is designed for small businesses to large corporations and allows multiple users to collaborate to create schedules quicker and more effectively. Some of the features and benefits of Humanity’s rota and scheduling. Humanity offers an integrated time scheduling solution to help you manage your staff time effectively. Their product range allows you to build the right solution for you and this includes schedule maker, time clock, leave, forecasting, messaging, training and reporting. They offer these solutions to businesses of all sizes that they group into three categories which are small businesses, enterprise and industries. 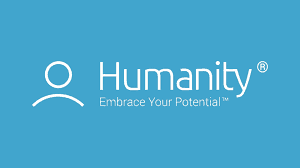 Humanity provides software to over 40,000 workplaces around the world that cover a wide range of businesses types. Their software is not only flexible in what they can offer you but it also integrates with other popular business applications which include Appetize, bamboo HR and QuickBooks. Some of the features and benefits of Shiftboard’s rota and scheduling. Shiftboard offers three packages that offer different levels of tools and number of users. Basic is the lowest package which allows basic scheduling. The Professional package offers greater optimisation and has additional tools. The Enterprise package is designed for larger organisations that need more robust management and this is a bespoke solution. The software can manage scheduling, time and attendance tracking, track applicants and onboarding them, and reporting. It can integrate with other HR and CRM systems to support time management and payroll. Shiftboard’s software has a mobile app that can also allow employees to be more engaged with planning schedules such as allowing them to manage their availability and trade shifts when needed. Some of the features and benefits of Time Clock Wizard’s rota and scheduling. Time Clock Wizard’s software offers employee scheduling, time tracking, task management and payroll reporting. They offer different packages with the two more basic packages (Free and Value) only offering time tracking, the two higher level packages also include scheduling and payroll reporting. These packages have a fixed monthly fee for under 50 users or unlimited users and not a price per user. Time Clock Wizard’s scheduling software is designed for businesses of all sizes and is easy to use. The software is not only for managers but great for employees too as they can request or trade shifts, request time off and view their work schedule anywhere using the mobile app. Some of the features and benefits of Sling’s rota and scheduling. Sling offers three software packages for their scheduling software which start off for free. The Free package includes scheduling, shift changes, time off requests, availability, task management, allows unlimited employees and multiple locations. The Premium package, in addition, includes time clock, advanced clock functions, timesheet history and approvals, Google calendar synchronisation, labour costs and overtime tracking, budgeting and reports. 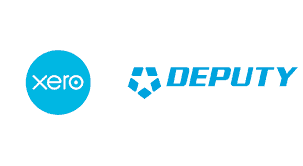 The third package is Enterprise which also offers customisation, integration and dedicated account management. Sling’s software is not just about scheduling but brings the staff together in a community and keeps them informed as it allows news sharing, announcements and task allocation. Some of the features and benefits of Deputy’s rota and scheduling. Deputy offers three packages for scheduling staff time which include Scheduling Only which costs only £1 per user and allows you to create rotas and communicate with your staff. The second package is Premium which in addition includes tracking attendance, reporting and payroll integration. The final package is Enterprise which is a customisable solution for more complex or larger businesses. These packages offer the tiered support that businesses need, and they are billed on a monthly basis but discounts of 9% are available on some packages for an annual subscription. They also offer a Flexible Weekly Plan which caters better for events, and special pricing for charities, not-for-profits and community organisations. 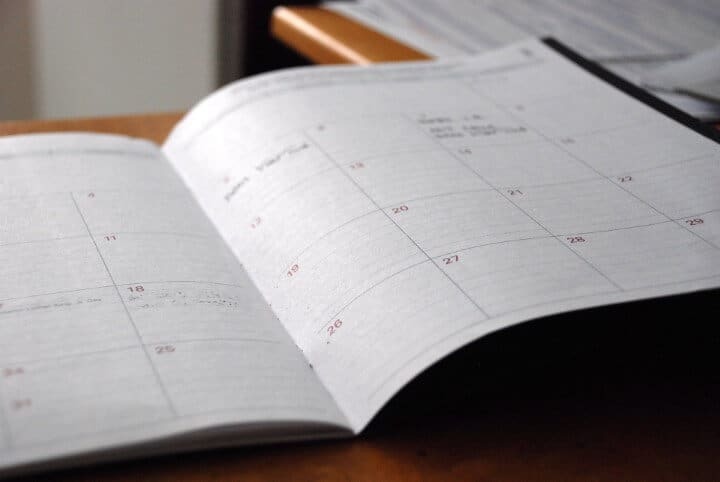 Some of the features and benefits of Snap Schedule’s rota and scheduling. Snap Schedule offers scheduling software that can ease the pain and reduce the time spent scheduling employee’s shifts. They offer three packages two are one-off fee licenses and the other is a subscription service. Snap Schedule offer both desktop-based software and online software solutions. The advantage of online software is that you can access the software from anywhere on any device and they have an app for iOS and Android. Employees can also access the schedules online to get accurate and most up to date schedules, as well as be able to request leave, trade or request more shifts, clock in and out, and change their availability. Some of the features and benefits of TrackSmart’s rota and scheduling. TrackSmart offers a range of staff management tools and software which includes attendance, scheduling and timeclock. They offer four packages to businesses that start at $22 per month that caters for up to 15 people. Each of the packages increase in price and the number of people up to 100 people. The three higher priced packages also include Time Clock features. They offer discounts for annual billing. TrackSmart’s software is online so it allows you to manage your teams from anywhere at any time on any available device. It is interactive and allows you to communicate with your teams through the dashboard, email and text, and staff can communicate with you about shift changes and requesting leave. Some of the features and benefits of Homebase’s rota and scheduling. Homebase offers four packages of scheduling software that start off as free which allows you to manage one location with no limit on the number of staff. The three other packages all charge per location fees and have varying levels of tools included. Standard scheduling, timesheets, time clock, communication tools, hiring, reporting and mobile apps are included on all packages. Paid for packages also include text messaging and mobile GPS timeclock. The Plus package has additional protections built in to prevent early clock in, multi-site support, management of multiple wage rates, and timesheet approvals. The Enterprise package has all these features plus auto-scheduling, forecasting and dedicated account management. Some of the features and benefits of Ximble’s rota and scheduling. Ximble offers both scheduling and time tracking software that can be purchased as standalone or combined packages. Their scheduling software is available on three packages which start at $1 per user plus $15 base fee per month which includes scheduling software, shift trading, cost monitoring, multiple positions and pay rates, management of availability and leave, notifications and reminders and reporting as standard on all packages. The Advanced package also includes automatic scheduling, integration with other systems, multiple site scheduling. The third package is called Enterprise which in addition includes forecasting, intelligent shift generation, customisation and a dedicated account manager.